Last Wednesday, Paul and I went to Quiapo to buy some stuffs there. We planned to walk around the place to look for some interesting things and buy some supplies for his work, or maybe some beads for my hobby. But before heading to Quiapo, we had our lunch first at Yellow Cab. We both love their pizza. This 10 inch pizza already filled our hungry tummies. So after eating we went straight to Quiapo. We were thankful that it didn't rain there. When we got there, we went first to Hidalgo St. to do some window shopping for cameras. We are not a huge fan of camera nor photography but we were amazed about the old cameras that they are still selling there. Afterwards, we went to find the street were the optical supplies were being sold. We almost got lost but Paul asked the vendors around the place so we were able to find Paterno St. - were the optical and dental supplies can be found. 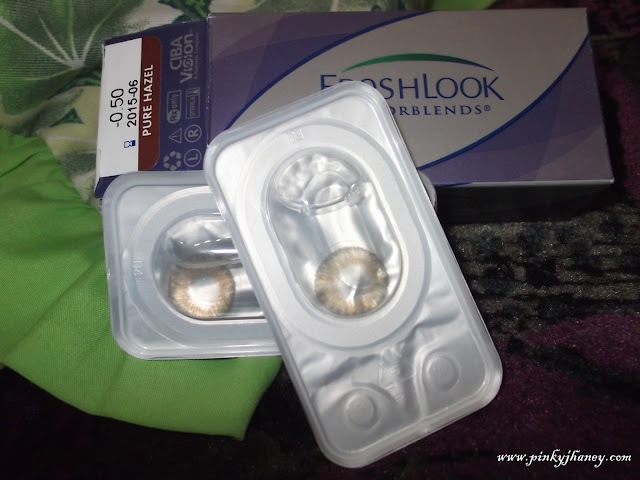 Paul even bought me a pair of colored contact lens. I never tried wearing contact lens before 'coz I find it uncomfortable but I want to give it a try this time. I got confused in choosing the right color for me, so Paul chose Pure Hazel for me. I hope this will look good on me. Our last stop was at Villalobos St. I used to go here when I was in college because I used to sell accessories. I am thinking about selling again since I'm getting hooked with creating earrings, necklaces and bracelets. For now, we only bought few materials. I got confused on which to buy since I was overwhelmed by the numbers of beads and other materials I saw in the store. After our shopping in Quiapo, we went to Timog to have some beer, barbecues and chicharong bulaklak. We got tired from walking and it was worth enjoying. I discovered a lot of things in Quiapo again. Though I've been here a lot of times, I never tried to explore the place. 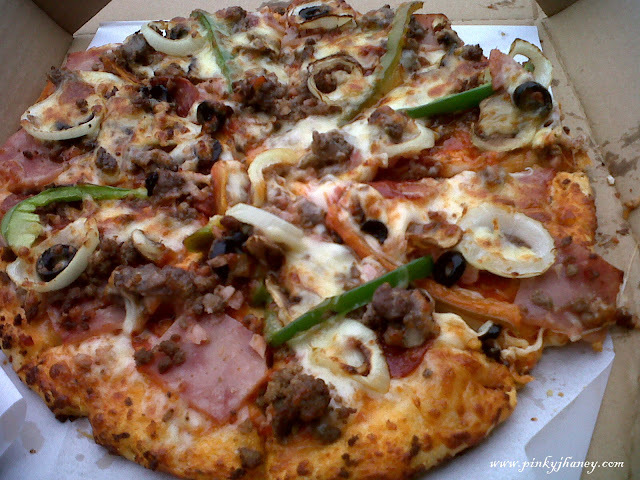 i miss yellow cab! NY Finest ba yan? :D i want to try the dear darla pizza! I love yellow cab pizza too! Meron din palang beads supplies dyan sa Quiapo. Sa divisoria marami din.